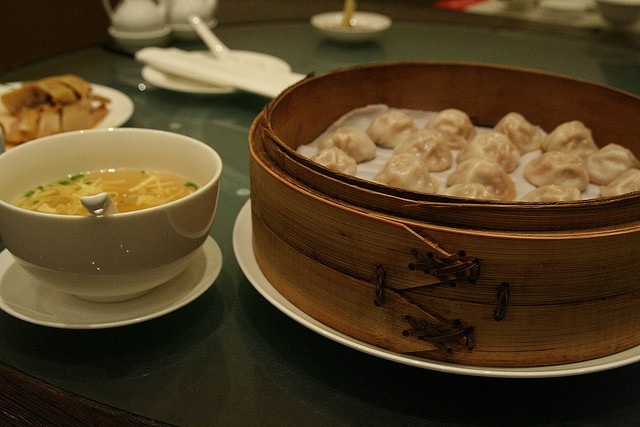 Although Shanghai is known for its pork soup dumplings, dumplings with a multitude of fillings turn up at breakfast, as appetizers at multi-course family-style meals, and as popular to-go snacks. For this dumpling windfall, we’ve got the where and how for sampling this local staple while visiting Shanghai. with a hole at the top, where diners insert a bendy straw to slurp up the soup. More of a gimmick than a delicacy, the bigger dumplings can be a bit dry. Plus, the soup is hard to get up through the straw — even locals have difficulties with blocked dumpling straws, so there don’t appear to be any insider tricks. The prime place to sample Nanxiang xiao long bao is in the neighborhood around The Yuyuan Garden, a teeming shopping district at the heart of Shanghai’s Old City, where narrow streets are filled with temples and aggressive street vendors. Scores of tourists line up for the smaller version of the dumplings at the appropriately named Nan Xiang Xiao Long (85 Yuyuan Lu), where they are sold from a window like pizza slices in America. There’s also an adjacent sit-down restaurant called Nan Xiang Mantou Dian. For succulent xiao long bao with shorter lines, visit the bright, pleasant Yu Garden location of the popular chain Din Tai Fung. Piping hot when served in a bamboo steamer, the pork, chicken, and pork with hairy crab dumplings should be eaten in the following way: Balance on a soup spoon; use a chopstick to poke a hole in the dough and release some steam, while being careful not to spill too much broth; dip in a mix of two parts vinegar/one part soy sauce, accented with minced fresh ginger; consume the whole delicious mess as gracefully as possible. Dumplings are so ubiquitous in Shanghai’s culinary scene, they can even be found for breakfast on room service menus at hotels, including a slightly crispy version at Jing’An, the restaurant at Puli Hotel and Spa. 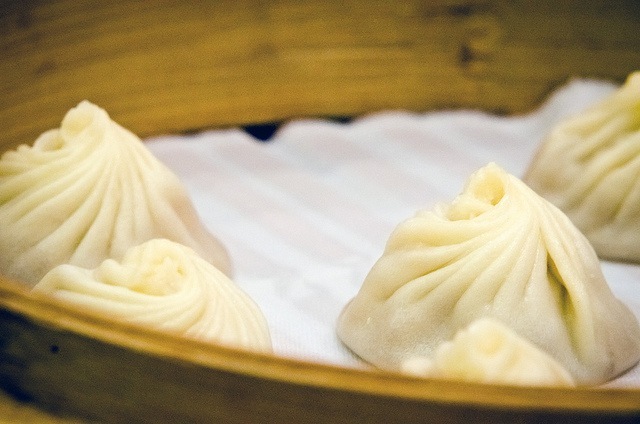 And everyone has their favorite dumpling spots — Jing’An chef Dane Clouston recommends Jia Jia Tang Bao near People’s Square and Yang’s Fried Dumplings. In addition to a wide range of savory dumplings, the restaurant Ye Shanghai also offers sweet dessert ones, which Westerners can think of as a sweet blintz. Before you completely overdose on the dough pillows, finish off your meal with a dumpling stuffed with a puff of sweet coconut cream and the tangy, tropical flavor of pink papaya.